Successfully Added Smart Water Sensor - 2.4G Wireless, Easy Installation, 45m Range, IP67 Waterproof, Compact Design, Smart Sensor to your Shopping Cart. Easily detect water leakage in your home and never worry about water damage again thanks to this smart home water sensor. The sensor features a highly compact design and is very easy to install. 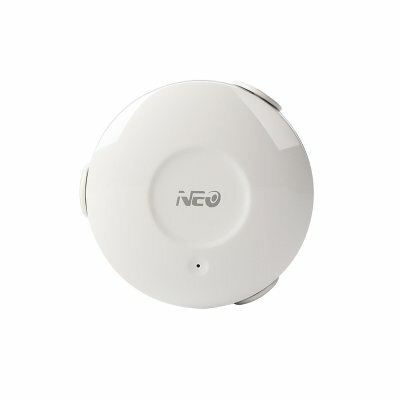 With its 2.4g wireless connectivity and 45m range, this smart home flood sensor can be used anywhere in your home. The gadget itself is highly sensitive thanks to which you can be assured not a single water leakage stays unnoticed. With this sensor in your home, you’ll be informed about any leakage before it can do any serious damage to your interior. Thanks to its waterproof IP67 design, you won’t have to worry about your gizmo getting broken when in contact with water. The flood sensor features an energy saving design which allows you to enjoy all its benefits for up to 4 years on a single charge. With this water sensor at your side, you can be assured that you’ll never have to suffer any serious damage from a leakage again. The water sensor comes with a 12 months warranty, brought to you by the leader in electronic devices as well as wholesale smart home accessories..